Women who live alone often feel vulnerable and afraid. There are several things you can do to improve your security in your home, especially if you are a woman who lives alone. Modern technology has improved security equipment, and complete security systems are more affordable than ever. Let’s take a look at some of the popular security features that you can have installed in your home that doesn’t cost a lot of money. Surveillance camera prices are much cheaper and do a great job of recording activities around your living space. 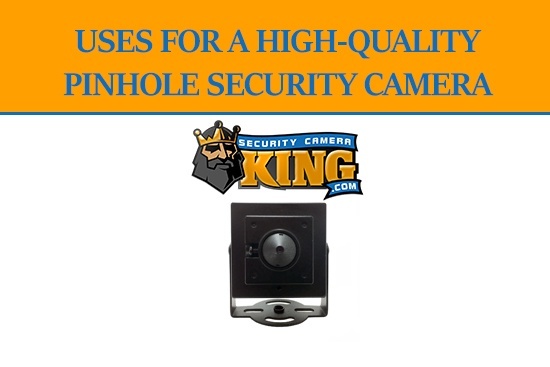 These cameras often deter criminals because they are easy to see. Most criminals will pass on a house with surveillance cameras and look for another target. Even if you place fake security cameras around your home, a criminal will have no idea whether they are real or not. Surveillance cameras with motion detecting capabilities will save you money on batteries and the need for extra image storage capabilities. Determine how much money you can spend on a security system and choose professional installation. Experienced security professionals will do the job in a fraction of the time and you can be sure the security system works properly. Contact a professional security company and ask for a security audit of your home. They will come out and give you advice about the different types of security equipment available. For women who live alone, this can give you a greater peace of mind. Security alarms are the most popular way to protect you and your home. Most criminals do not want to go up against a security alarm. They make too much noise and they know that law enforcement officers could be on their way. A loud audible alarm on your doors, windows and entry points will deter crime. There are a wide variety of security alarm systems available. 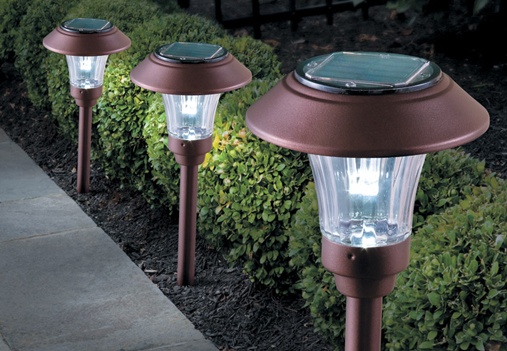 Solar lights are a popular way to improve the look of your outdoor living space while providing security. These lights are inexpensive to purchase and cost nothing to operate since they get their energy from the sun. They look attractive and you can place them around your home to illuminate entries and your backyard. Advanced technologies have made solar outdoor lights up to 12 times brighter than previous models. Keeping your outdoor living space bright will also give you peace of mind. Women who live on their own appreciate lighted outdoor spaces at night. Outdoor solar lights can be installed anywhere because they don’t require wiring or electricity to operate. They also require no maintenance except cleaning. If your home experiences a power outage, your solar lights will not be affected. Solar lights will give you up to 15 hours of light before they need to be recharged by the sun. You can highlight walkways, driveways and steps to make an attractive outdoor living space. They also look beautiful when they showcase landscaping and flower beds. You can also place them in common areas where criminals may try to hide such as shrubs and bushes. Installing an intercom as a way to communicate with whoever is knocking at your door is a great idea. First of all, if you ignore the door and pretend like you are not home, then this may give a criminal the false sense that no one is at home. You should use an intercom to find out who is at the door. This way they know someone is at home. Many times criminals will stake out a neighborhood and pretend to be selling something in order to see who is home. An entry intercom helps you deal with this possibility. They are inexpensive and you can hire a contractor to install it properly. Consider adding a surveillance camera to the entries to monitor visitors while you are speaking through the intercom. These buttons are located on your security system’s keypad. You can also have one made for your keychain, or place them in other areas of your home. A panic button is a valuable tool if you feel threatened. 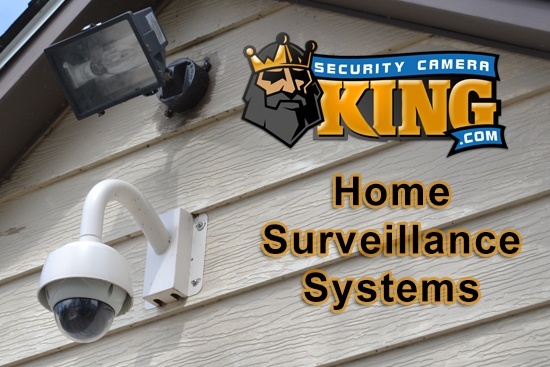 If your home security system is connected to a monitored alarm system, the security company will call you to confirm. However, there are panic buttons that go directly to the fire department that will send a fire truck immediately to your home. They also have a button for medical emergencies that will dispatch an ambulance. These buttons can save you time in an emergency. A monitored alarm system requires paying a monthly fee to a professional alarm company. They will set up a security code and call you if the alarm has been tripped. A monitored alarm system is a great way to add security to your home. Most cities charge for false alarms so be sure you cancel the alarm before the police are dispatched to avoid these fees. The main benefit to having a professionally monitored alarm system is the fact that law enforcement can be notified immediately. If someone breaks into your home, you may not have time to dial 911. The intruder will be nervous that the police will show up at any minute. You can also have security sensors placed on the windows and entry doors into your home. These sensors will trip the alarm should someone try to break into your home. Most security alarm companies charge a low fee and install the equipment either free or for a small fee. You will likely rent the equipment and you will have to return it should you discontinue using them. You can also buy this type of equipment at a professional security retail store. Internet dating is a popular way to meet potential dates. However, you should always meet your date at a public place and don’t reveal your personal information until you are sure your new date is trustworthy. When you don’t know anything about someone you met online, then you should use caution every step of the way. Personal security devices such as audible panic buttons can be used if your date gets out of control. Always remember, when you meet someone online they are a complete stranger. You should be aware of your situation and surroundings. Avoid talking and texting on your cellphone while walking in a parking lot. This can distract you and make you vulnerable even during broad daylight. Local law enforcement agencies often give educational classes for women in self-defense. It is a great idea to learn how to defend yourself in case you find yourself in an awkward position. 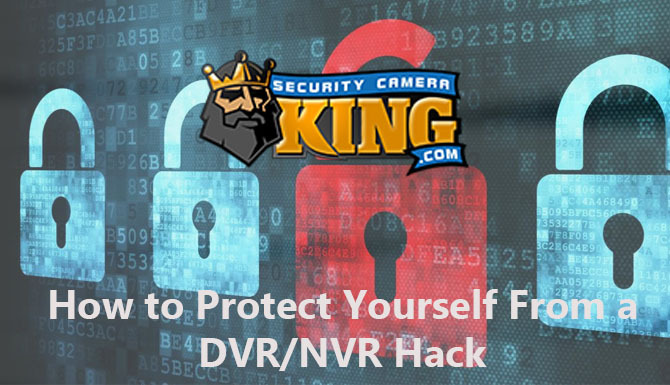 Home security is not enough, you also need to learn more ways to protect yourself. Internet dating is here to stay and will only increase in popularity. Learning how to protect yourself and general rules about personal safety will help you feel more secure. There are many women who post vacation photos on their social media sites before they even return home. This is not a good idea because you do not know how many people the photo will go to. If the photo gets into the wrong hands, it could be a good opportunity for a criminal to realize your not at home. They can also find out when you will return giving them the perfect opportunity to break into your home. Even if you have a security alarm, most criminals can be in and out within 10 minutes. Don’t risk your home and belongings by posting vacation photos online. Limit the amount of people who know you are going on vacation to family and close friends. Wait until you get back home to post vacation photos. Social media is a great way to communicate with family and friends but you must use caution. If you add multiple levels of security in your home, you can make a potential criminal think twice before targeting your home. Steel doors with deadbolt locks, driveway alarms and security cameras will go a long way in deterring a criminal. They are looking for an easy target and seldom bother with homes that are hard to break into. They can just choose an easier target without the hassle. Consider getting a dog, even if is a small. Criminals do not like noisy barking dogs. Small dogs are famous for barking loud and often. 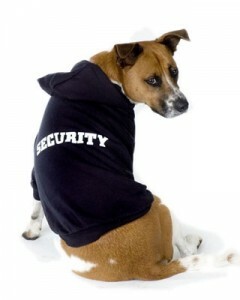 Of course, larger dogs can also improve your level of security. Consider places signs on your fence and windows that tell everyone to beware of the dog. Even if you don’t have one this is a great deterrent. You can even buy voice-activated systems that make dog barking sounds when your doorbell rings. Make sure security signs are in all of the windows and entry doors into your home. You can buy these online and you don’t have to get them from a security company. Install double locks on your doors and quality locks on your windows. Don’t forget the backdoor because this is a favorite target for a criminal. Criminals know that most back doors are not as reinforced as the front ones. Make sure the door that leads into your home from the garage is steel or solid wood. The backdoor and the garage door should also have a deadbolt lock. Make sure your landscaping is not an easy hiding place for a criminal. If you live in an upstairs condo or apartment, don’t think you are completely safe. It doesn’t take a lot of effort for an intruder to climb up to the second floor. If you have a sliding patio door, then reinforce it with a locking pin set that can be purchased at any hardware store. They also sell security items that are placed inside your door to prevent someone from kicking your door in while you are at home. There are many new and innovative security items available. If you are aware of the possible security deficiencies that are currently in your home, then you are on your way to correcting them. Awareness is the key to staying safe when you live by yourself. Find out if your neighborhood has a crime watch team that you can join. Knowing your neighbors can help you feel safe. If they know you live by yourself, they can keep an eye out for suspicious people lurking around your home. If there isn’t a neighborhood crime watch team, consider starting one on your own. This is a great way to get to know people in your community and everyone can look out for each other. Offer to watch your neighbor’s home when they go on vacation and they can watch yours when you are away. This is much better than hiding a spare key around the door and having your home look like no one is at home. The best way to keep a criminal from knowing what’s inside your home is to keep the curtains closed. Look around your neighborhood and take note of how many people leave their curtains open even at night. This makes it easy for a criminal to take note of the big screen television or other attractive electronics. Most criminals are looking for items that are easy to sell on the black market. These include electronics and jewelry. You can also have your electronics engraved with your drivers license number. This will at least prevent a thief from selling your electronics to the local pawn shop. If they do sell your items at the local pawn, the police can track you down by your drivers license number. You could even get your stolen property back. Make sure your valuable jewelry is hidden in a safe that is out of sight. Jewelry can be sold quickly and effortlessly. The increase in the price of gold has criminals looking for any type of gold jewelry to sell. Follow these tips to improve your personal security and the security of your home.